A cluster of tiny hamlets close to the Italian border, Val Mustair is tranquil and scenic place to take a winter break. Host to a round of the 2013 cross country championships, the resort is a good place to try cross country skiing, snow walking along with learning to ski. Val Mustair is a great ski resort for all levels and suitable for the whole family. The well groomed pistes are the perfect place to practice carving and brushing up on old skills and learning new ones. With the highest lift reaching 2700m skiers can enjoy panoramic views of the surrounding mountain landscape whilst enjoying the marked runs back down into resort. For more advanced skiers looking for more challenging runs their are off-piste and treelined trails too. Skiers rarely have to que in Val Mustair as there are several lifts operating the mountain. 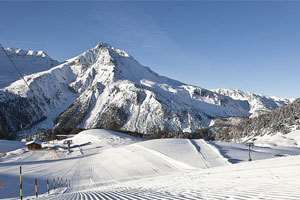 There are snow making facilities across all of the pistes in Val Mustair but the resort tends to 100% rely on the natural swiss snowfall for most of the winter season. The vally prides itself on great apres-ski entertainment with bars and restaurants providing guests with the best food and beverages in resort. 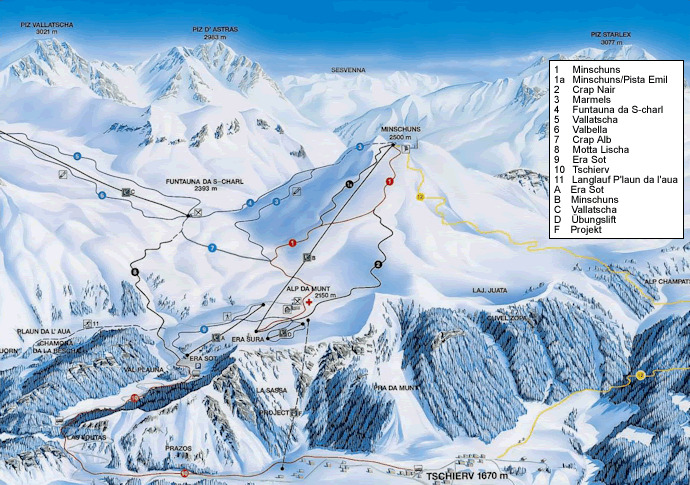 The closest international airports to Val Mustair ski area are Zurich, Basel, Monaco di Baviera and Milan and are all accessible via car, bus transfer or rail.